June 12, 1997 - Salzburg, Austria. 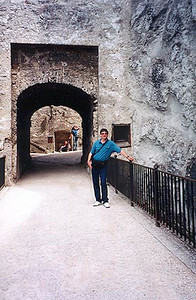 This is the view of the main entrance to Festung Hohensalzburg (castle). The castle can be reached either on foot or by the Festungsbahn, a cogged rail car.